Hello everyone. My name is Bronwyn and I blog over at Queen B Creative Me. I am so excited to be sharing a project here at Twelve O Eight. 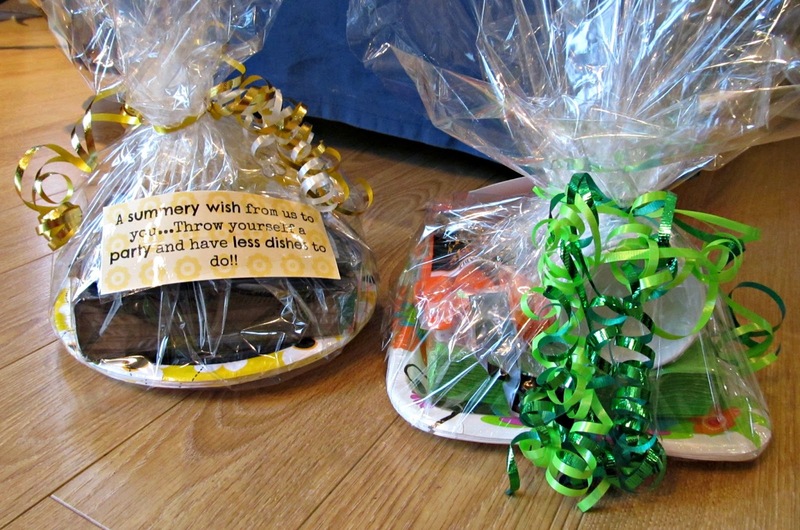 what the kids and I put together as thank-you gifts for their teachers. 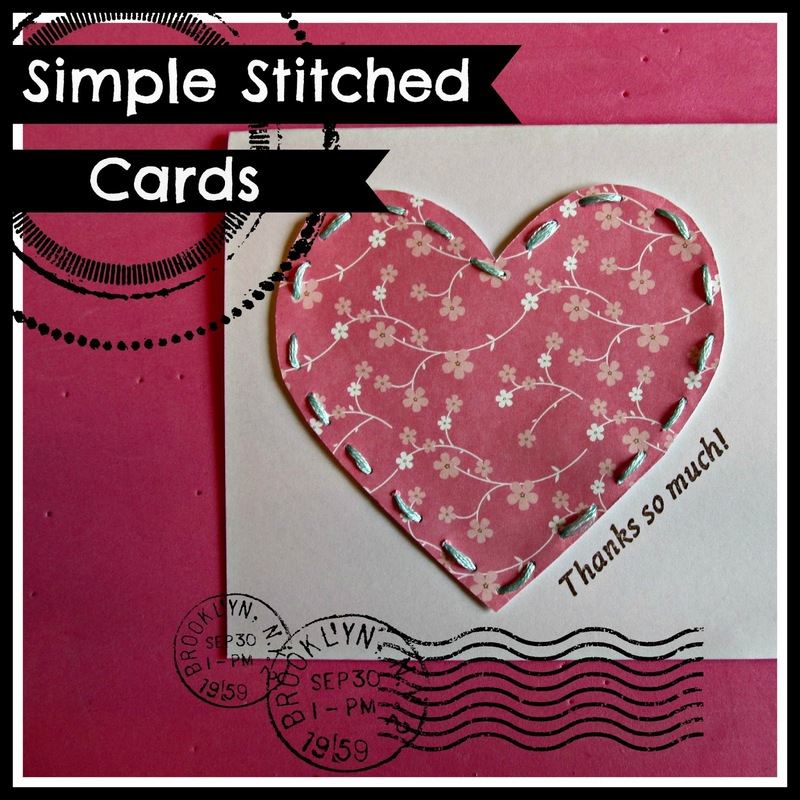 and I set out to make some Simple Stitched Cards for each of the kids’ teachers. We started with some card stock cards – these measured 4″x6″. I let my daughter pick a few pages of pretty scrapbook paper. Construction or wrapping paper would work for this, too. heart-shape from the patterned paper. so that you don’t poke holes into your table! with 6 strands of embroidery floss. Thin yarn would work for this as well. It took her less than 5 minutes to do each heart. we glued each heart to a card, slightly left of center. you could print your own text. My daughter and I were so pleased with how the cards turned out. The teachers who received them were full of compliments, too. Now what did we give the teachers as their actual gifts? have seems to be broken so I cannot send you to the originator of this idea. I am pleased to say that the teachers ADORED their gifts. Who can blame them? That’s my kind of gift, too! I’d love to have you!! a fun and thoughtful gift with us! friend who is moving or a mom to be. for tons of crafty goodness and inspiration!!! Such a cute idea, Tanya. 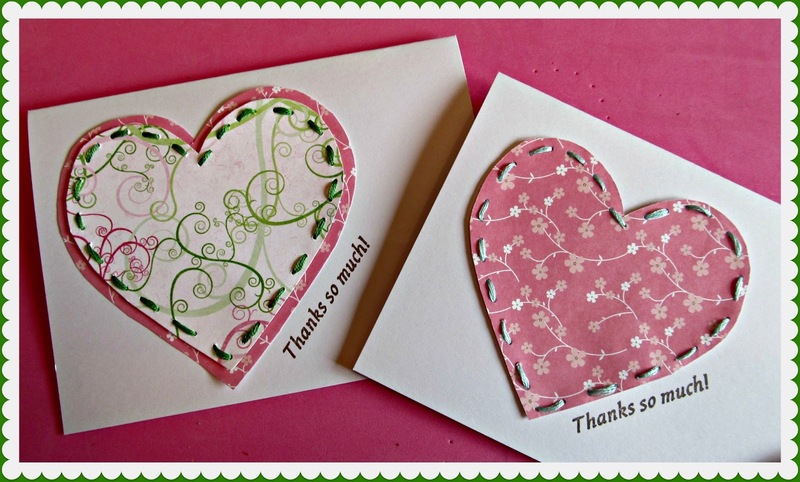 Adorable cards and a cute idea for a teacher gift too! Great job Bronwyn! Makes we wish I had small kids to make teacher gifts for, how amazingly adorable. Maybe I should make some of these to sell for Mom's that don't have time. would be fun to make. Great project kiddo. And i am glad studying your article. But should observation on some common things, The website style is great, the articles is actually excellent : D.